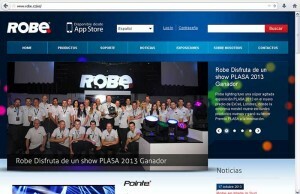 Robe lighting has just launched the highly anticipated Spanish version of its complete website. Users from Latin America, Spain and other Spanish speaking regions will now be able to find all the main content available in their own language, including information on all the new and existing products and their technical specifications, plus the latest from the company’s busy newsroom. 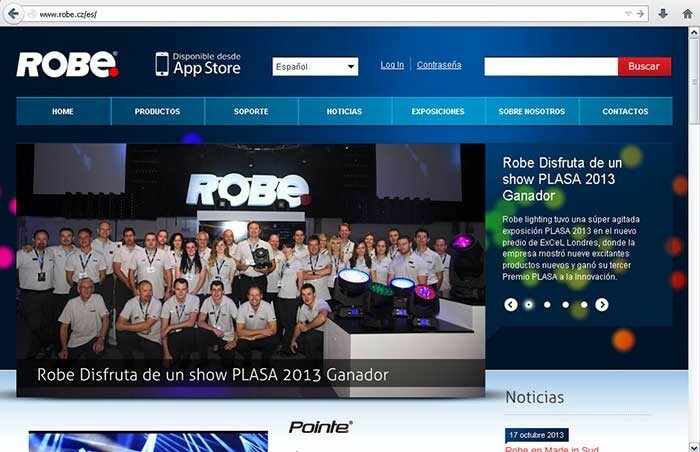 Regional sales manager for Latin America, Guillermo Traverso, comments: "It’s really great news to have the official Robe lighting site in Spanish now. It is a great opportunity for everyone using the Internet daily as an information and communication tool to be able to access this in their own language. “It is also another great advance for the Latin market in general and we hope that, combined with our highly proactive social media channels, we can continue to provide an exciting interactive source of information to our ever expanding number of users in Latin America." Robe Lighting’s marketing manager, Jiri Baros, adds: “There are several reasons why we are offering a Spanish version of the Robe website, the main one being growing business in these regions via the activities of our new distributors in several Spanish speaking countries. Just to give you an idea, the community following our Spanish Facebook is now the same as that of the English one.